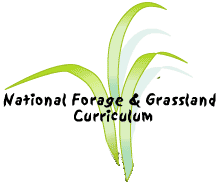 The purpose of this lesson is to help students understand the considerations and steps in establishing a good forage stand "from scratch" or by renovation. Advantages and disadvantages of each method are discussed and practical suggestions are provided. The establishment of forage plants is somewhat more difficult than many crops because some require more than one year to establish and forage seeds are often small and must be placed in shallow depths where soil moisture, pH, herbicide residue, and temperature show the most variation.